About Alex Photo: We are located on the Ground Floor of Peninsula Plaza in Singapore. Near City Hall MRT. 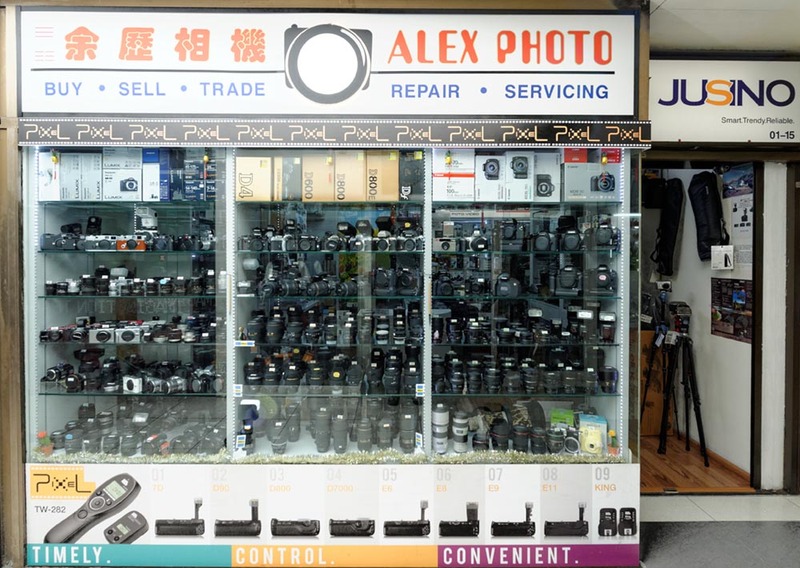 Alex Photo aims to provide you with the Best of Friendly, Personal Customer Service along with competitive prices. If you get a price from someone else, come and talk to us before you commit. It is very likely that we will be able to look after you. Alex Photo sells new and second hand camera equipment. Our range extends from classic models up to the very latest releases. We carry film bodies in addition to the many Digital models. We stock Compact, Mirrorless, DSLR and Medium Format Cameras, along with lenses to suit. We stock the original equipment manufacturers lenses (such as Canon, Nikon, Sony, Olympus, Panasonic etc) as well as after Market suppliers such as Sigma, Tamron, Tokina and Samyang. You will also find Tripods and Monopods from makers such as Gitzo, Manfrotto and Jusino. Flashes from the original manufacturers as well as from Nissin and Metz. We aso stock LED Video lights – which of course can be used with Still Cameras also. We also have Flash Controllers and Vertical Camera Grips from Pixel. At Alex Photo we stock an awesome range of Binoculars from Minox. You will find Dry Cabinets from Aipo, in a range of sizes, to suit every need, at Alex Photo.